IEDCO is a full-service company that offers custom engineered powder handling systems and solutions. Since 1995, we have confronted simple to unusual powder handling challenges, all with unique and demanding project requirements, and have provided the most efficient solution possible. Most of our work is focused on the governmentally regulated industries (pharmaceutical, fine chemical, and food), but we serve any processing industry looking for a single source, engineered solution. Our specialty is our ability to custom design powder handling equipment and systems that easily integrate with existing processes while increasing hygiene, containment and overall efficiency. You expect a piece of equipment to have a terrific performance guarantee, a great value and the highest quality. But if that piece of equipment isn’t applied properly, if it isn’t integrated with the other equipment, if it isn’t integrated into the operational needs of the system, it will not be a successful installation. At IEDCO we believe very strongly in getting intimately involved in all of the details associated with both equipment and operational integration. We don't just sell widgets; we make sure that our products are properly integrated into your existing or new system as a whole. Most of our customers have strong desires to increasing reliability and productivity, while reducing maintenance and decrease downtime. Our success in this area has led us to jokingly say, "We don’t mess around with things that go around" - a slogan so corny that we hesitate to put it in writing. 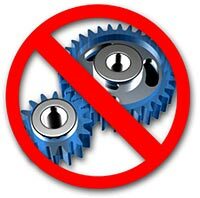 It’s not always possible to eliminate or minimize the use of "rotating equipment", but this is one of our design goals and definite prejudices. The other strong prejudice is summarized by the philosophy that "the best dust collector in the world is one that does not exist." Dust collectors are expensive, high maintenance pieces of equipment that do not contribute to your bottom line. To completely design them out of a system is not always possible; however, maximizing containment techniques and minimizing dust collection is our other strong prejudice. 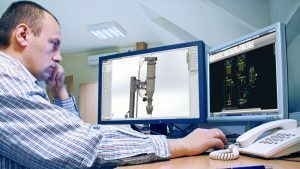 Most of the equipment and systems that we design and manufacture have been developed in the context of trying to meet our clients’ specific application challenges and demands for reliability, simplicity and performance. Every application is unique, in one respect or another, and it is that element that we enjoy the most, applying our innovation to meet the specific requirements. At IEDCO we like to take as few chances as possible with both your money and ours. To this end, we are able to test most ideas and materials at either your facility or ours. This is another very important aspect of our system design. We know from experience that just because two ingredients may have the same name doesn’t mean they necessarily behave in the same way. Knowing as much as we can about your powders ahead of time, combined with flexibility in the system design, contributes greatly to a successful installation. 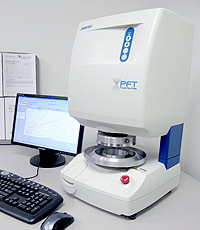 Our facility has a test lab where we can confirm our system recommendations once we have thoroughly tested your unique materials. Not only can we run your powdered product through our equipment, but we also have the capability to test the powder’s flow characteristics in our powder test lab. This can (and should) be done early on in the project planning stage to help determine the best powder handling strategy. Our powder test lab will provide us with the data necessary to make informed recommendations and has the benefit of using small amounts of the product, rather than deal with transporting bulk materials to and from our facility.